HONG KONG, June 7, 2018 - (Media OutReach) - Comba Telecom Systems Holdings Limited ("Comba Telecom" or the "Group", Hong Kong stock code: 2342), a global leading wireless solutions provider, has appointed Ms. Annabel Huo as the President of its subsidiary Comba Telecom Systems International Limited ("Comba Telecom International"). Ms. Huo will take the responsibilities to manage and operate Comba Telecom's international business. Comba Telecom has extensive experience and outstanding track record in delivering excellent customer-focused wireless telecom solutions. 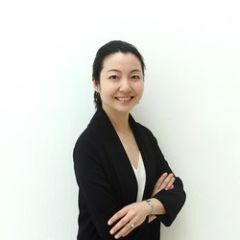 Ms. Huo will continue to lead the team in meeting the Group's growth targets. A graduate of the Imperial College London (BEng in electrical and electronic engineering) and Stanford University (Master's Degree in electronic engineering and digital signal processing), Ms. Huo joined the Group in 2010, she served in several positions with increasing seniority including Software & Application Engineer, Customer Manager and Vice President of Marketing for North America. In addition to her appointment as the President of Comba Telecom International, she currently holds multiple roles within Comba Telecom including Group President Assistant, and Deputy Head of Group Strategic Operations. Mr. Zhang Yuejun, Vice Chairman and President of Comba Telecom, said, "Annabel brings a wealth of international business experience, and commercial and technical knowledge to the Group and these assets of hers have seen her advance to leadership positions in the Group. Her drive and passion for success will be vital to us as we continue to grow our business internationally and also in helping us deliver value-added solutions to customers." Ms. Annabel Huo, President of Comba Telecom International, said, "Comba Telecom's mission is to bring innovations to the wireless communications technology and to supply customers with superior total wireless solutions and services. We are well-poised to take advantage of the growth opportunities worldwide and help our customers build innovative and smart business models. I am very excited about my appointment and to join a great team that I will take the Group's business to the next level." Comba Telecom is a leading global wireless solutions provider with its own R&D facilities, manufacturing base, and sales and service teams. The Company offers a comprehensive suite of products and services including wireless access, wireless enhancement, antenna and subsystems and wireless transmission to its global customers. Headquartered in Hong Kong, Comba Telecom's global operations include manufacturing bases in China, R&D centers in China and the USA and more than 40 offices worldwide. Comba Telecom has been included into several indexes including the MSCI China Small Cap Index, Hang Seng Composite Index (Information Technology Industry Index, MidCap & SmallCap Index and SmallCap Index), Hang Seng Global Composite Index, Hang Seng Internet & Information Technology Index, as well as Hang Seng Corporate Sustainability Benchmark Index. For further information, please visit: www.comba-telecom.com.